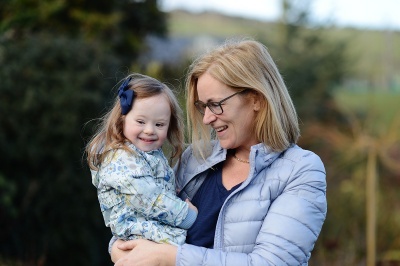 There is no ban on abortion for reasons of disability in the Government’s proposal and this puts babies with disabilities at serious risk if the Government goes ahead with legislation based on the plan they presented before the referendum. In countries where there are no restrictions on abortion on grounds of disability, babies diagnosed with a disability like Down syndrome are aborted in huge numbers. In Britain, 90% of babies diagnosed with Down Syndrome in the womb are aborted1. In Denmark and Iceland, that figure is closer to 100%2. Non-invasive prenatal testing (NIPT) is available in Ireland and can detect Down Syndrome and other conditions before 12 weeks of pregnancy. These tests boast a 0.1% false positive rate3. With the availability of NIPT, many women won’t wait for further diagnostic testing. If the Government sticks to its current plan for abortion legislation, babies with Down Syndrome would be targeted within the womb, just as has happened in countries with legalised abortion. Protecting and valuing the rights of people with disabilities begins with protecting their rights while still in the womb and for this reason we will do all we can to limit the damage to their rights caused by any legislation enacted by the Government.